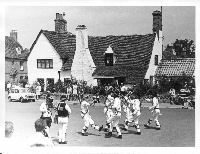 A very small selection of photographs right now, please come back later as more will be added soon. 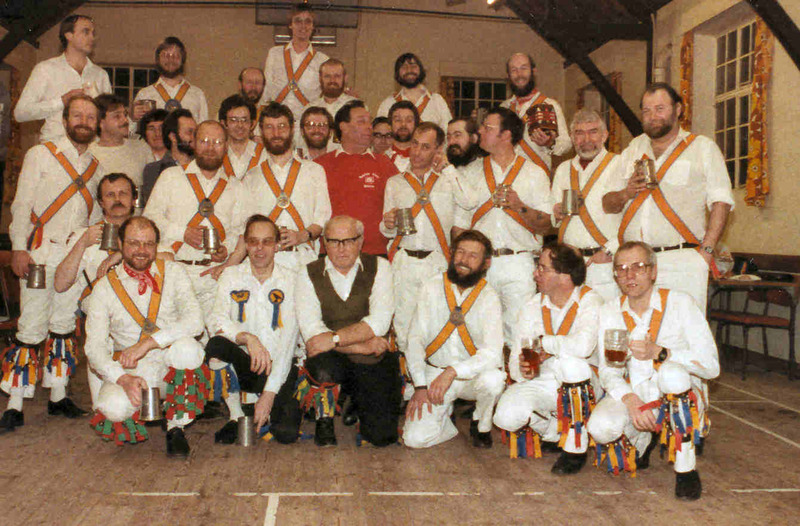 1985 ale - An ugly bunch ? 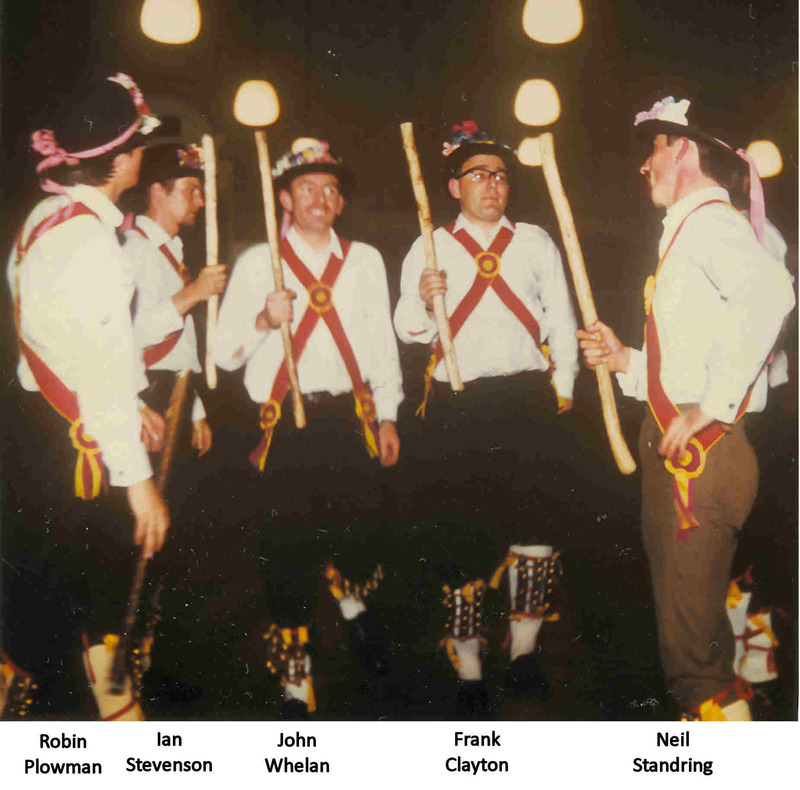 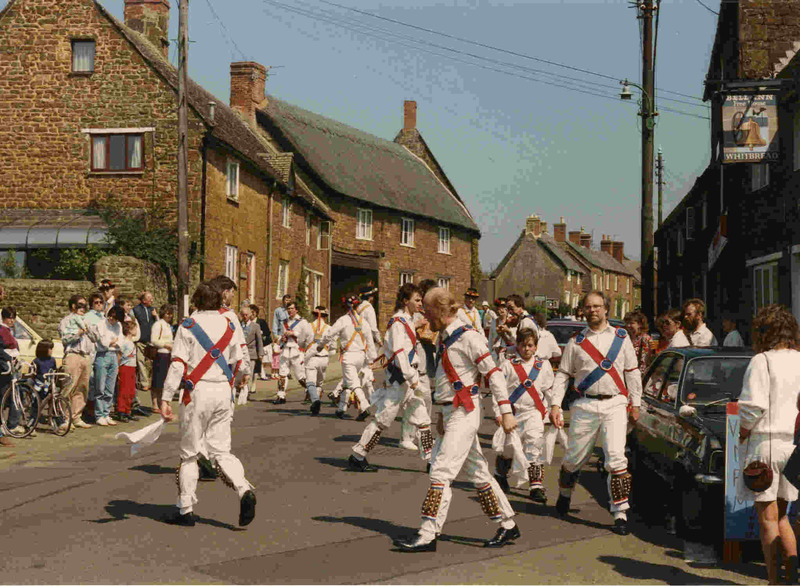 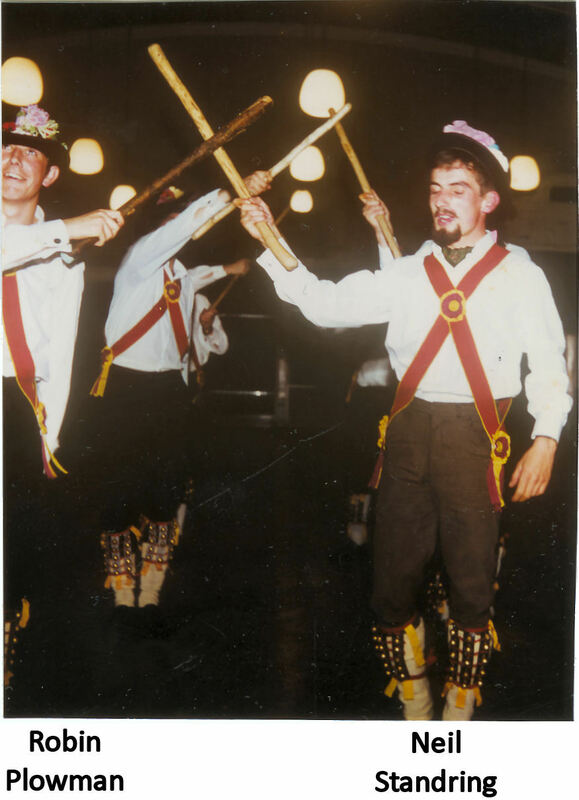 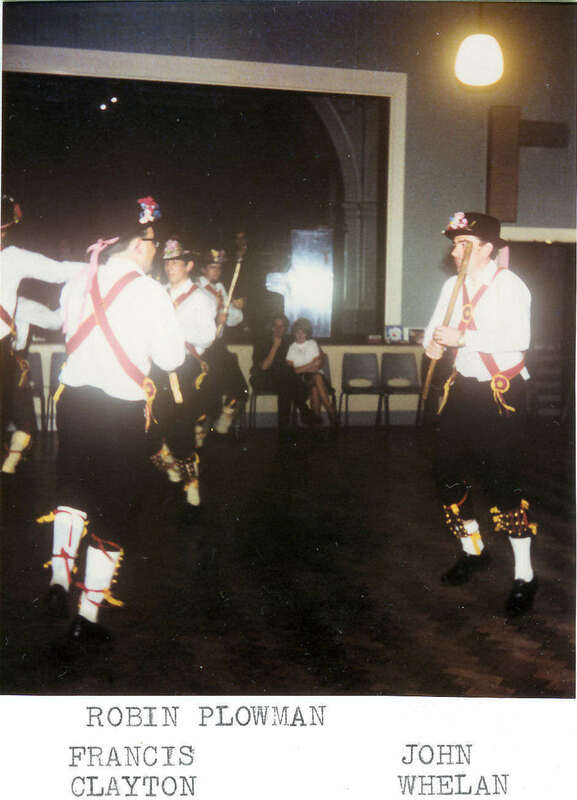 Below are some recently recovered photographs of Bourne River Morris Men's first ever performance in November 1967 at Bournemouth Technical College for an EFDSS Area meeting. 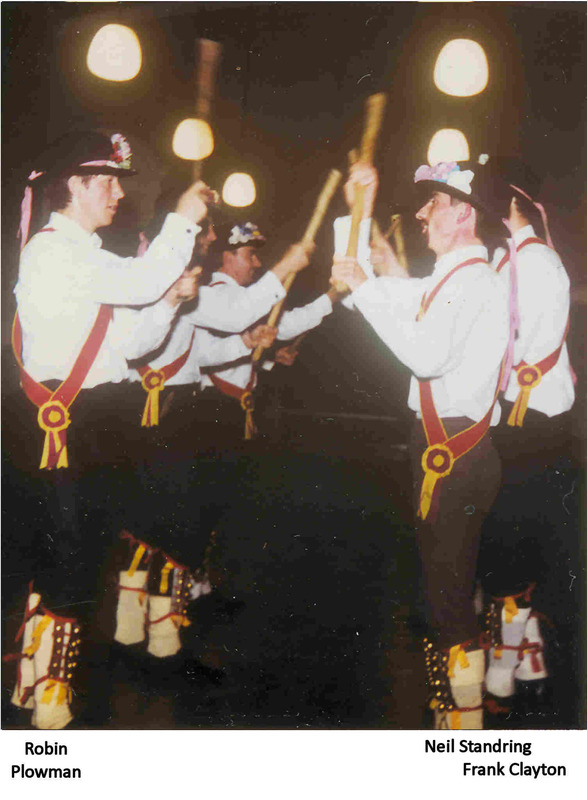 This was performed in kit borrowed from Peter Dashwood, and with the bowler hats from the defunct Chideok Morris Men donated by Miss Marjorie Mayne of Chideok. 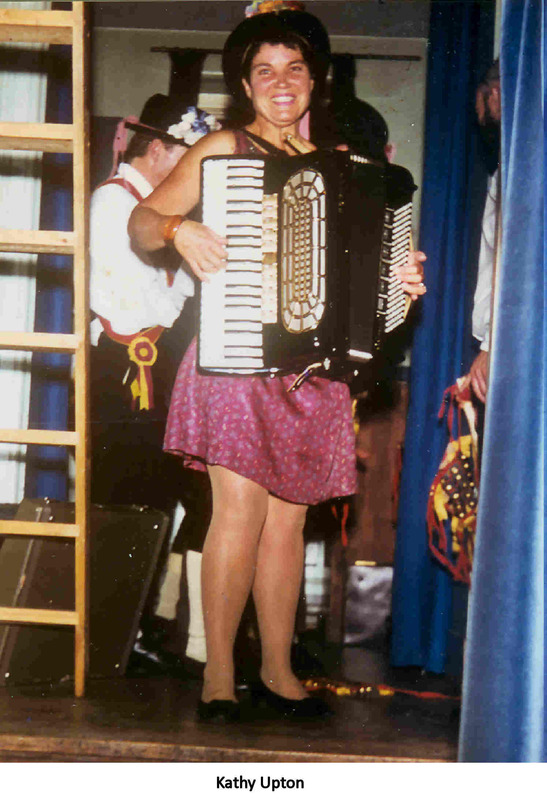 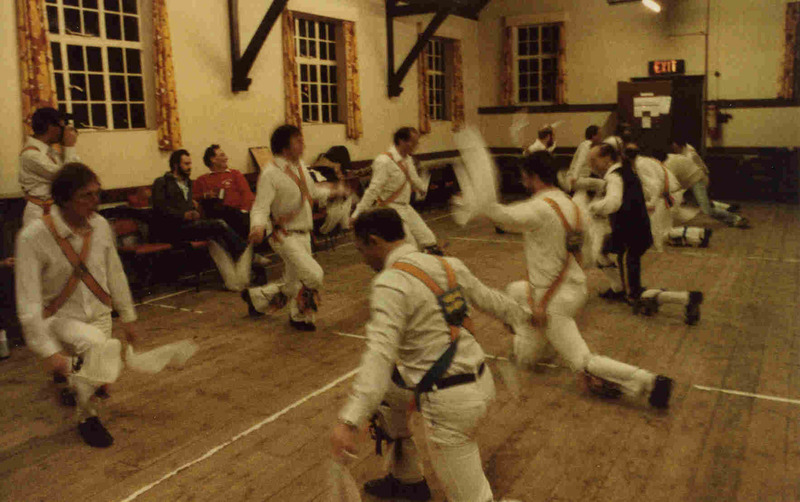 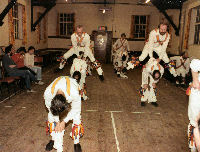 Over 40 years on and Bourne River still dance each year at Miss Mayne's birthday (now memorial) ceilidh in Chideok at the end of March. 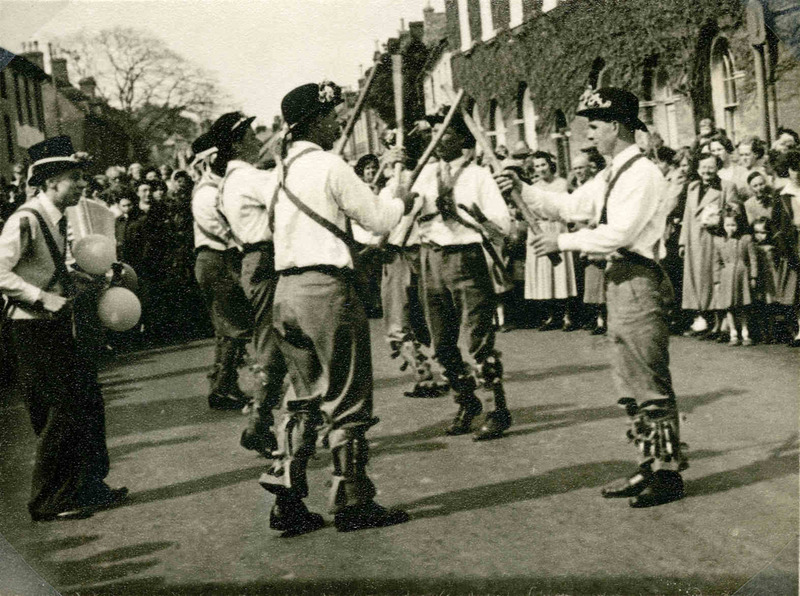 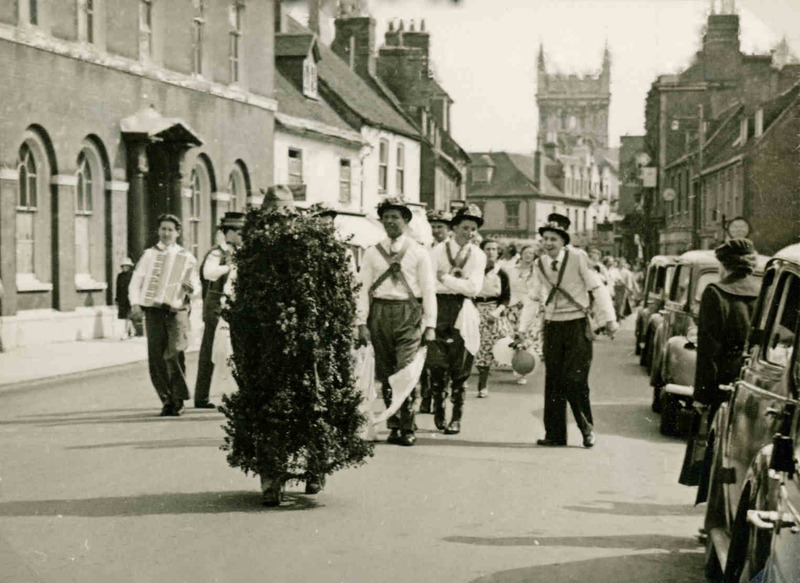 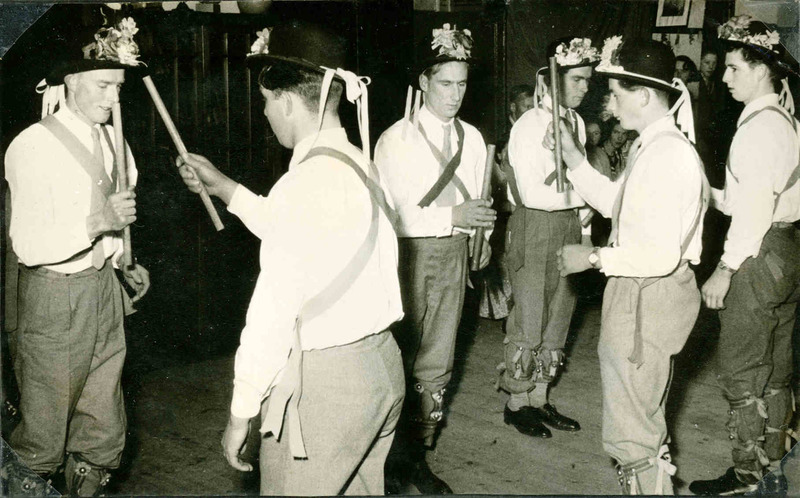 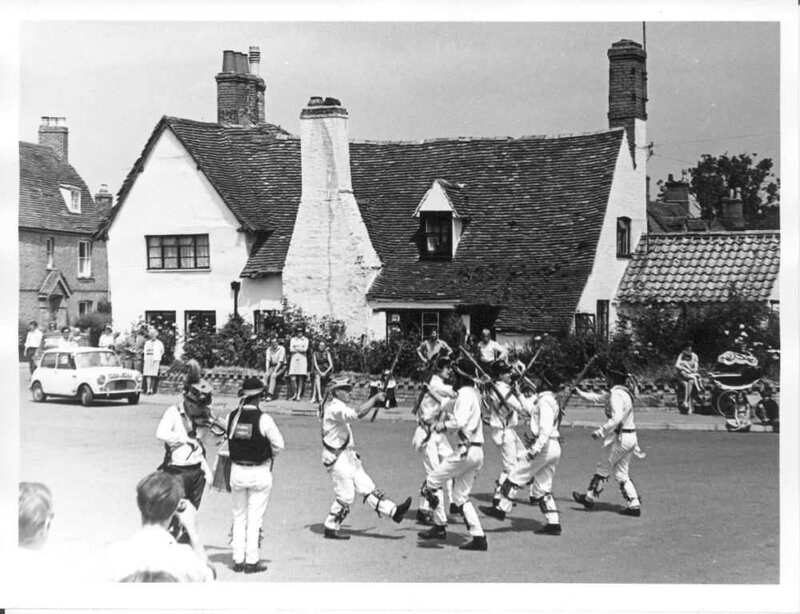 To complete the historical link the last few 1photos are of the Chideok Morris Men in the early 1950's - complete with the bowler hats that formed part of the first Bourne River kit. 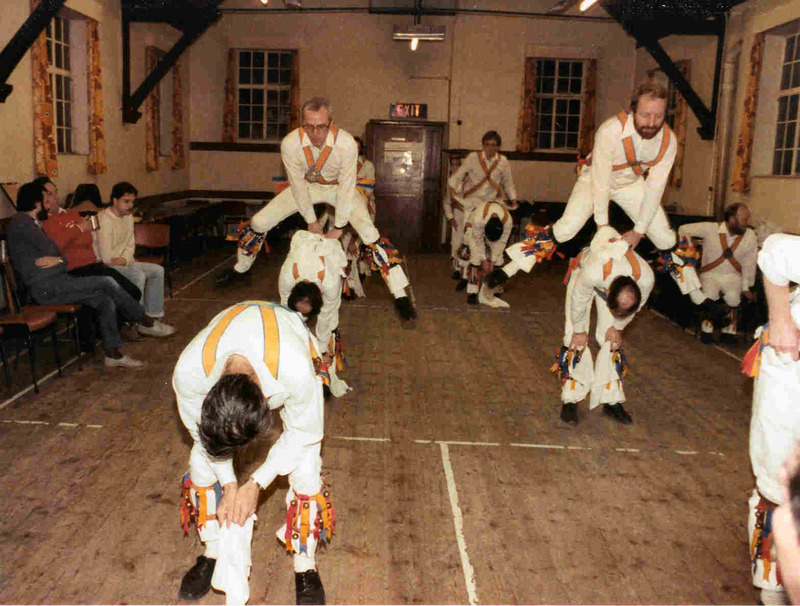 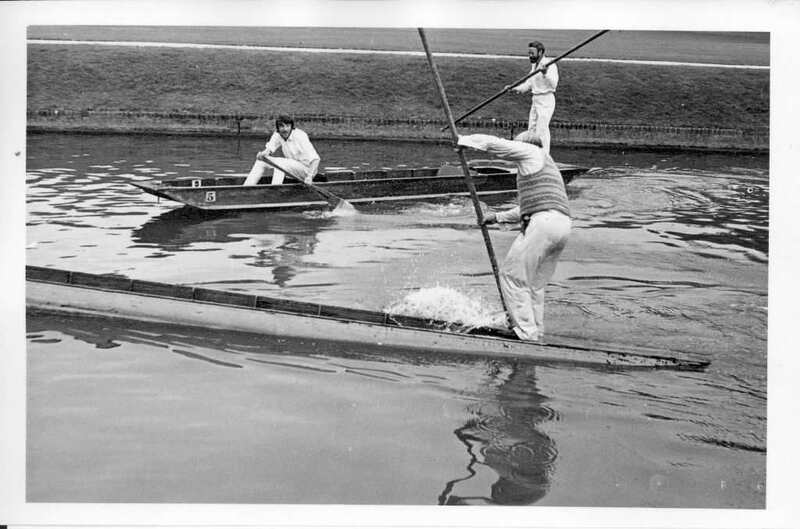 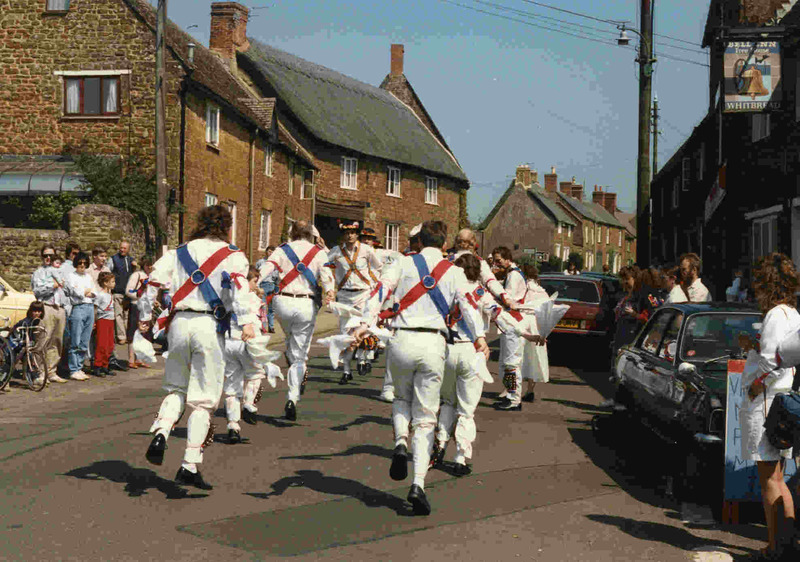 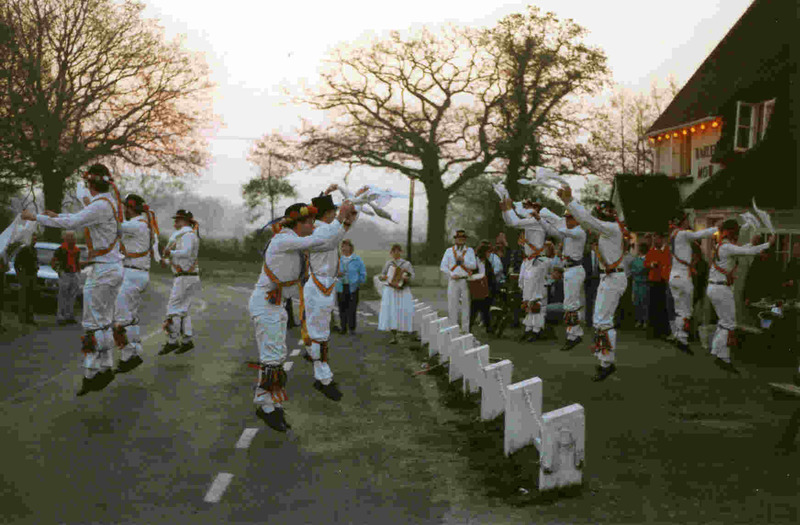 Of the men shown in the photos one, John Whelan, is still an active dancing member of Bourne River.